It’s our school’s University Week so I’m excused from going to my internship. I don’t participate in any of the activities so it only means one thing: rest, rest, and lots of rest. Last night, I went out with the staff of the paper to El Fav, an ice cream joint that sells odd flavors. 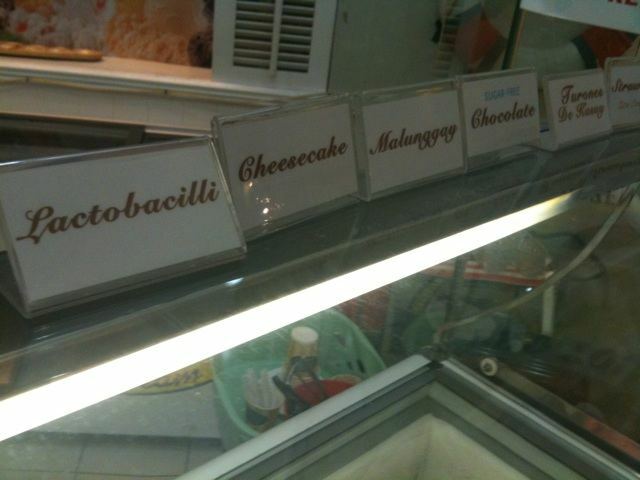 Some of their flavors include: malunggay (Moringa olefeira), beer, tequila rose, Bailey’s, Yakult, and choco chili. I had the banoffee, which tasted fabulous. The Bailey’s was good, too, as well as the malunggay, cheesecake, and turones de kasoy. The choco chili tasted really terrible because it was hot. It wasn’t that hot but I’m not a big fan of the flavor so I didn’t enjoy it. El Fav is located at Aguirre, BF Homes, at Pergola, right next to Ruins. 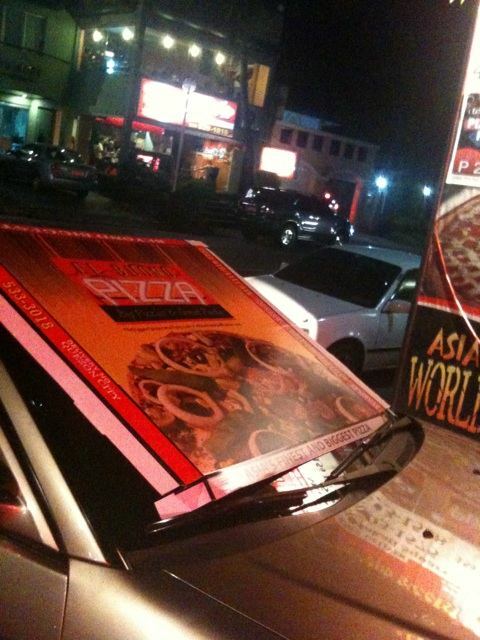 We then had dinner at El Buono (the pizza joint where I celebrated my birthday) and we had the 36″ this time, which was as big as a car’s windshield. It was followed by drinks at Nlos then food at a local Select. 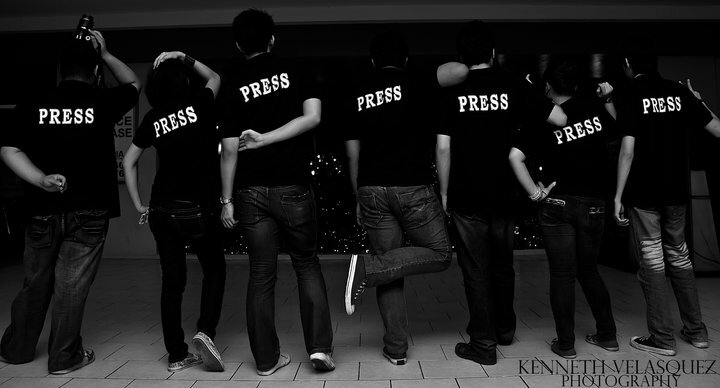 That’s us wearing our press shirts. I’m the third from left. Photos taken by Nikko Panti and Kenneth Velasquez. Weird. I already knew it was you third from left without reading the caption. Must be because I'm the biggest.